Arthur Williams, called Gilbert, was born in 1819 in the Stoke Newington parish of London, as the fourth son of English landscape painter Edward "Old" Williams. He had five all brothers, all of whom became landscape painters, and though born Williams he changed his surname to Gilbert to disitinguish his art from that of the rest of his family. 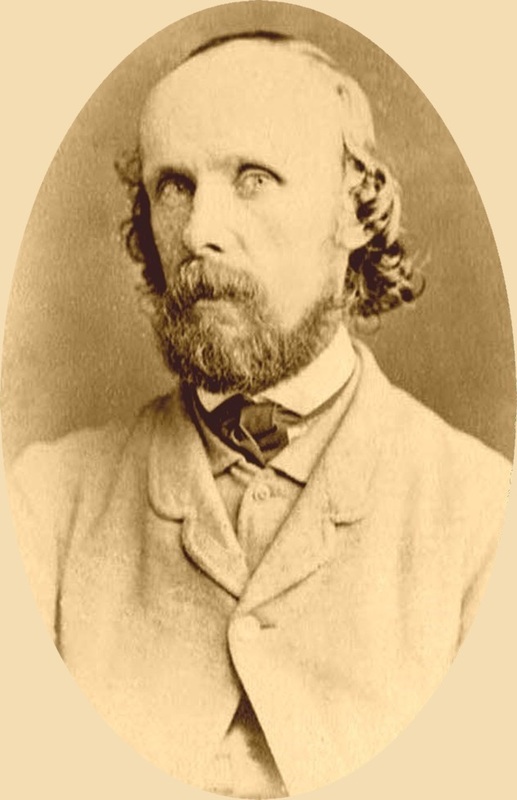 He died on April 21, 1895 in Croydon, Surrey. 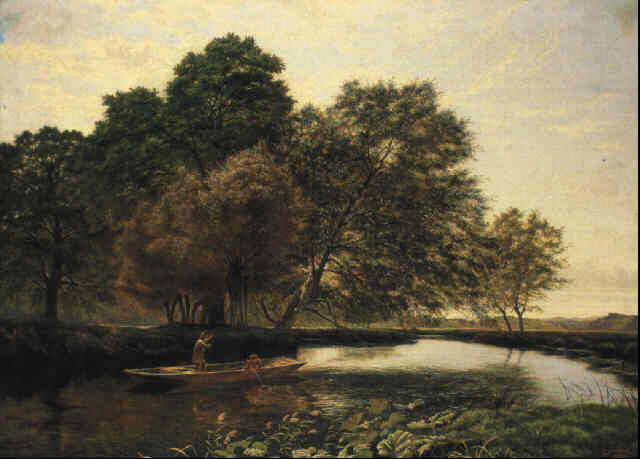 Arthur Gilbert displayed his work from 1838 to 1894 (202 paintings) at all the major exhibitions of his day, including the Royal Academy (49 paintings), the Suffolk Street Gallery of the Royal Association of British Artists (102 paintings), and the British Institution (51 paintings). 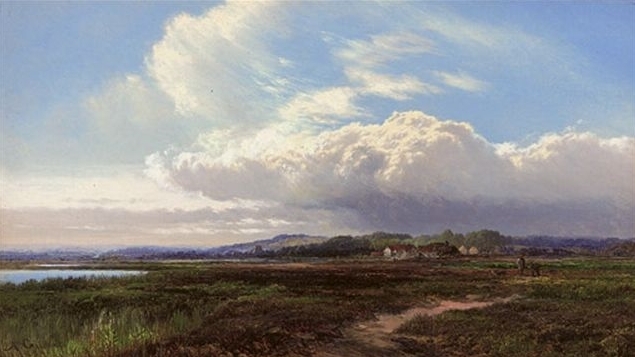 A very atypical Arthur Gilbert painting, probably painted early in his career, when he was experimenting with different styles. 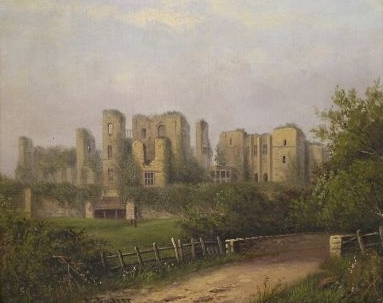 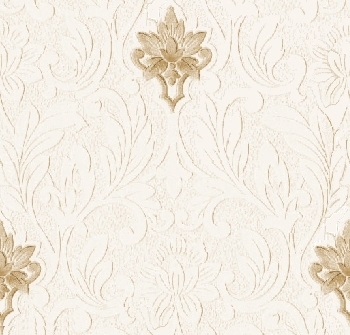 Fortunately, this painting is signed, otherwise it would have been difficult to assign to any of the Williams brothers, as they seldom did architectural studies of this style. Arthur Gilbert was known for landscape scenes in dimly lit settings, either moonlight or early morning dawn. Although these were very popular with the public, and contributed to his success, art critics bemoaned his use of moonlight scenes. 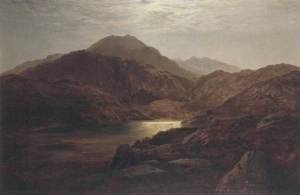 This is a very typical Arthur Gilbert painting, with moonlight illuminating a stark mountain landscape. 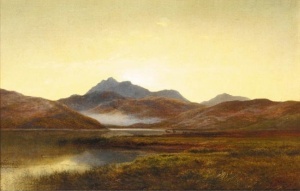 Another stark mountain scene that represents the classic Arthur Gilbert painting, this time illuminated by the early morning dawn, instead of by moonlight. 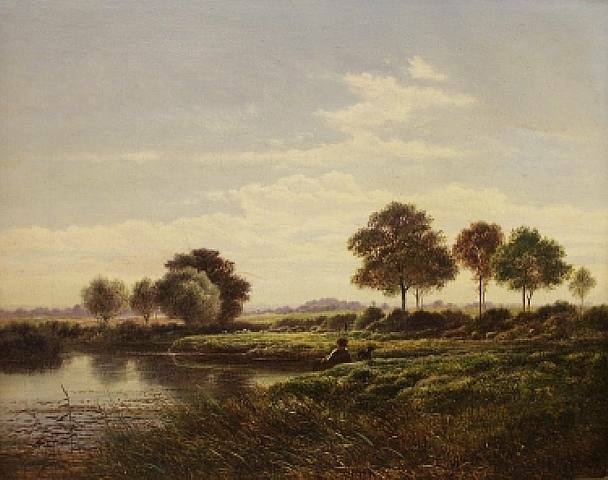 Arthur Gilbert used animals, people and trees very sparingly in his landscapes, which many times made his paintings stark and barren. 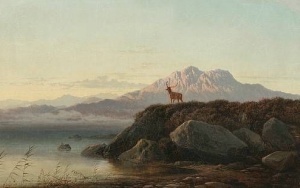 Here he uses a solitary stag to good effect. By contrast, some of the paintings by his brother Sidney Richard Percy almost seem cluttered. 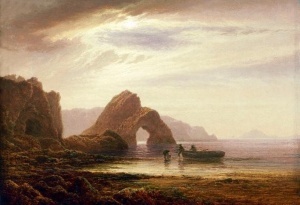 An ocean scene, but done in the classic Arthur Gilbert style of a stark, dimly lit setting. 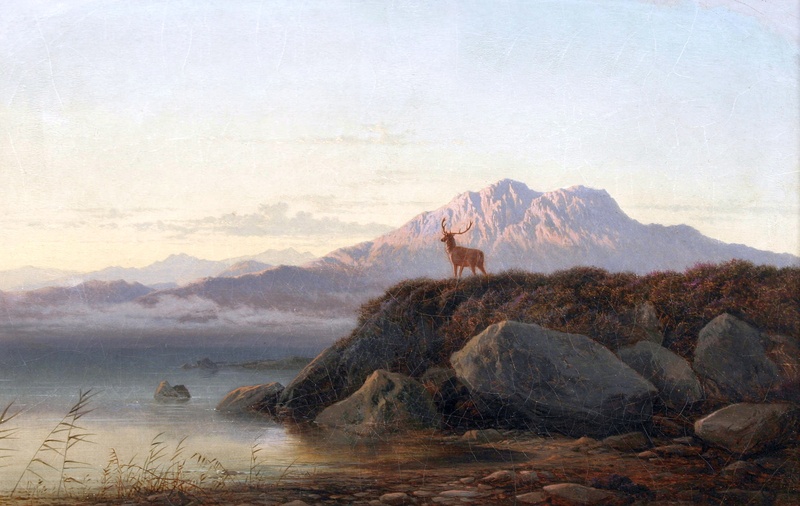 Two solitary figures prominant in the center of the scene help to balance out the symmetry of the landscape, whereas in many of his earlier moonlight scenes any trees and figures are almost hidden in the landscape and add little to it.